Spring has finally come back to Open Spigot Farm, and we couldn’t be happier! Though this winter gave us some beautiful sights, we’re glad to welcome back the sun and ready to kick off the growing season. 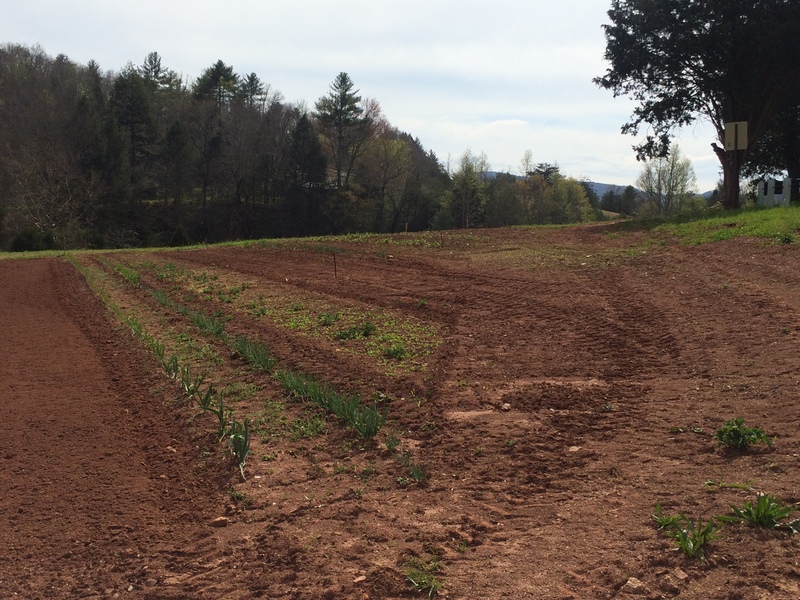 So what’s new at the Randall family farm? Lots! Firstly, the winter rye we’ve been cultivating over the cold months is looking super healthy and tall. 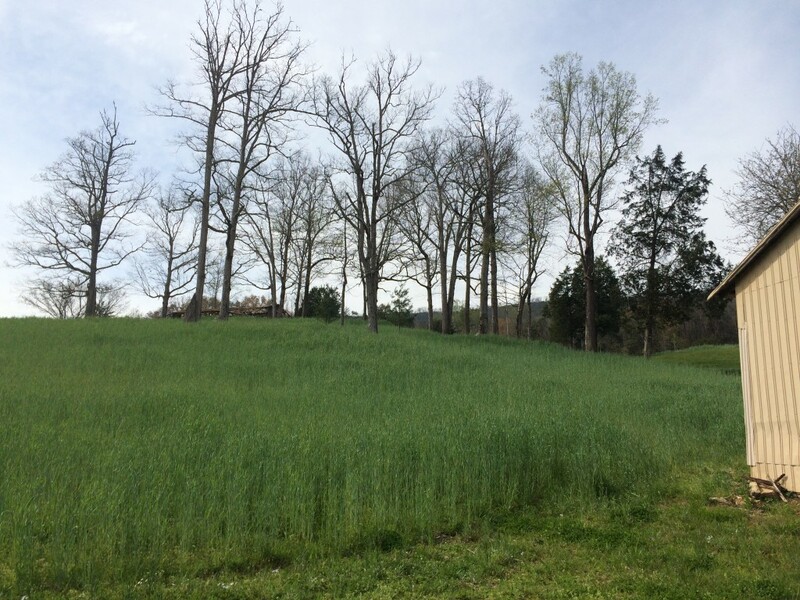 In addition to being a useful cereal grain with a variety of uses, winter rye is a fantastic cover crop that keeps growing soil in place and protects it from harsh winter conditions. Now that the snow and frigid temperatures have subsided, we can get a lot more work done on some special plans we’ve been cooking up all winter long for the farm. 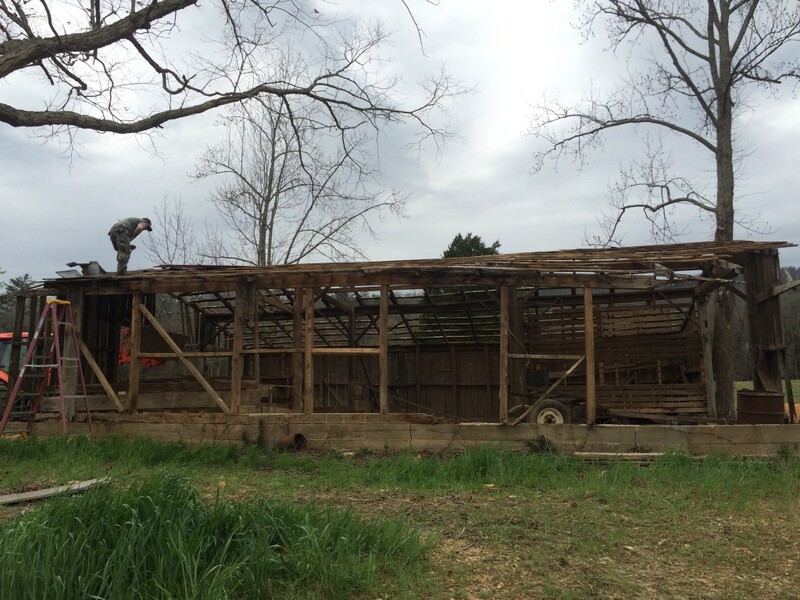 The first is deconstructing an antique barn that has seen better days. The quality reclaimed lumber we’ll salvage and put to use in a variety of ways from making doors and frames to signs, fenceposts and more all around the farm. 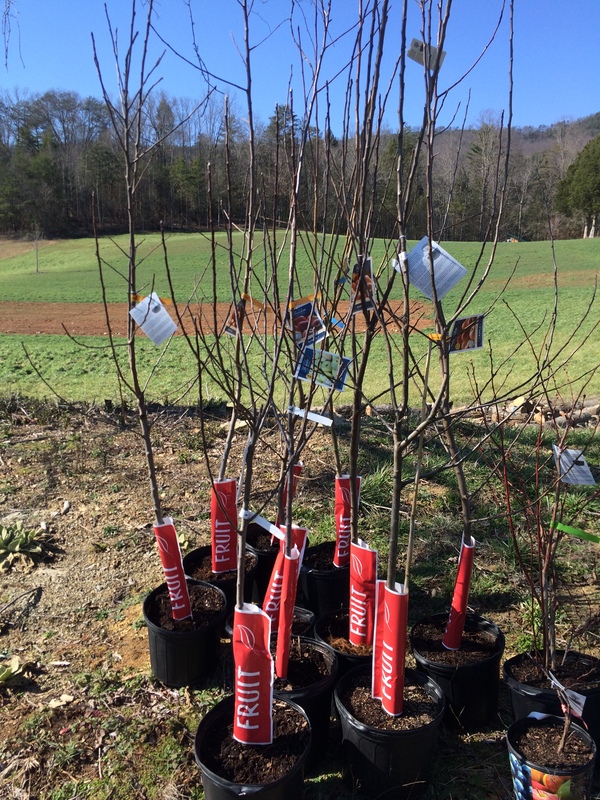 Next is the first round of planting for the brand-new Open Spigot Farm Orchard! We’re starting with a few varieties of apples, but we’ll be giving these trees several more neighbors as the weeks go on. It’s a long-term project to create a thriving orchard, but we hope it becomes a mainstay of the farm for years to come. Most of all, this spring has us excited for all the new varieties of heirloom crops, experimental growing techniques and first-time Open Spigot Farm fruits and veggies we’ll grow. Take a look at these new Romanian Garlic sprouts, newcomers to the family farm! Soon this whole field will be filled with new ideas. We’ve got a long spring and summer ahead of us, and a lot of work to put into the land. Before we know it, it will all be worth it: harvest will come and we’ll be sharing the fruits of our labor with our local farmer’s market and the entire Randall Beans family. In the meantime, we’ve got lots of help including young Thomas. Let’s hope he’s inherited the Randall family green thumb! So here’s from our family to yours, wishing you a warm happy spring in 2016, and many more! 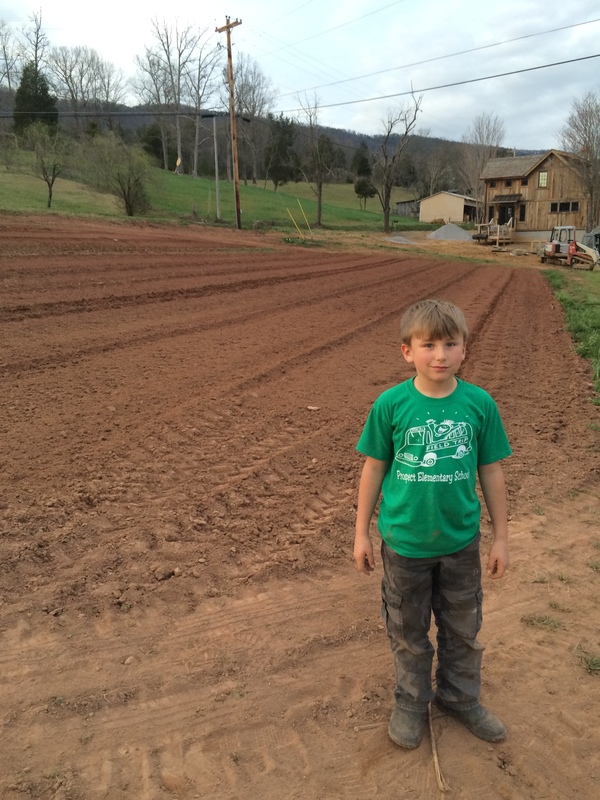 See more updates from the Randall Family farm!